Just got back from my trip to Huntington Beach, California last night. I was there for 3 days for a work trip and managed to find some free time to snap a few photos of the gorgeous scenery. It was a bit chilly to be on the beach, but how can I complain about 70 degrees and sunny in December?? When I woke up today, it was 19 degrees in Massachusetts! PS - Follow me on Instagram at lbrousell. Ugh, those photos make me seriously want to move. I still love that lifeguard hut photo, really pretty. That and the palm one next to it would make a nice wall hanging. i know why did we not just stay there after that semester?! gorg! you are right down the street! I'm so jealous of people who get to have this as their backyard year round. So pretty! Great pictures! The so cal weather is always so nice! So jealous, I love California so much. 70 in December sounds amazing! Super jealous! 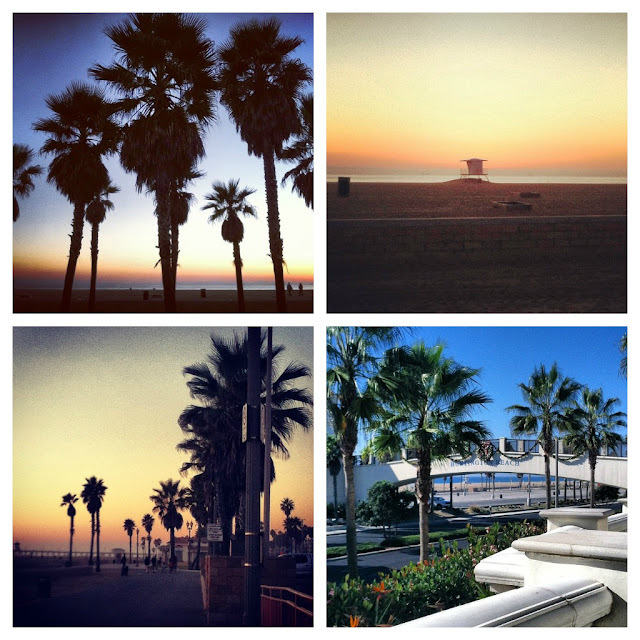 I'd love to visit Cali :) These are gorgeous, but I'd love the cold so I'm also jelly of the 19 degrees you have! Send some snow to GA pleasee! Great photos! I just love the beach! My husband's dad currently lives there and I love how pretty it is there when we visit! Gorgeous photographs, I wish it was like that in England!